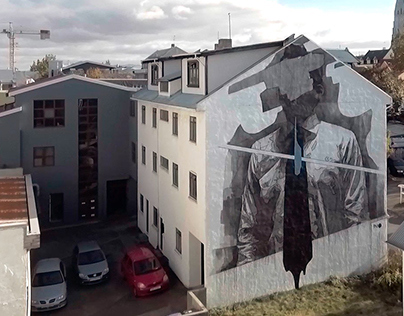 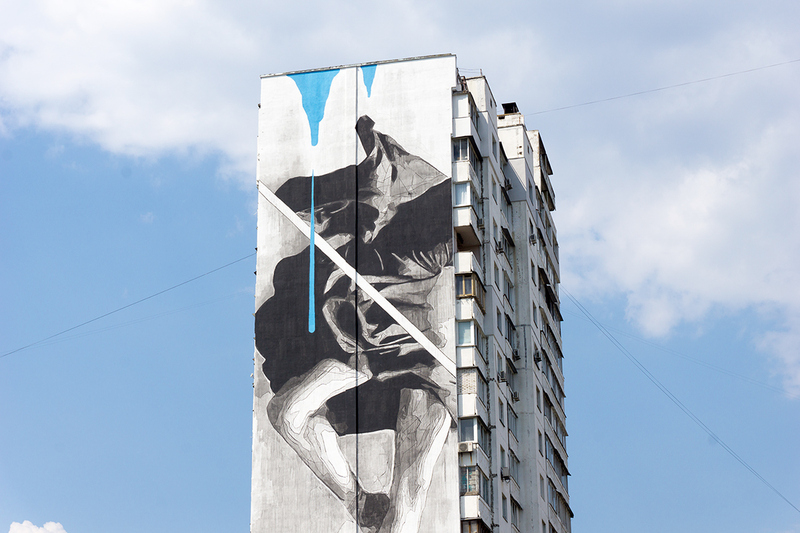 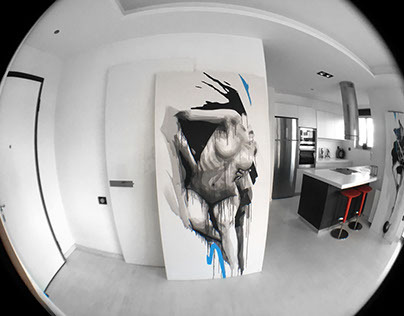 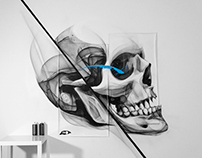 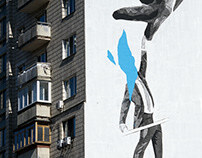 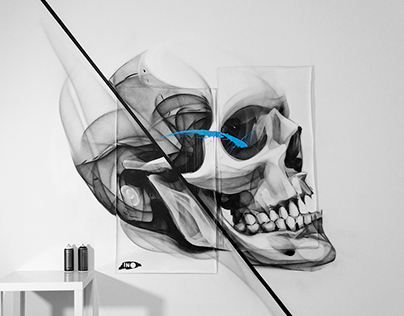 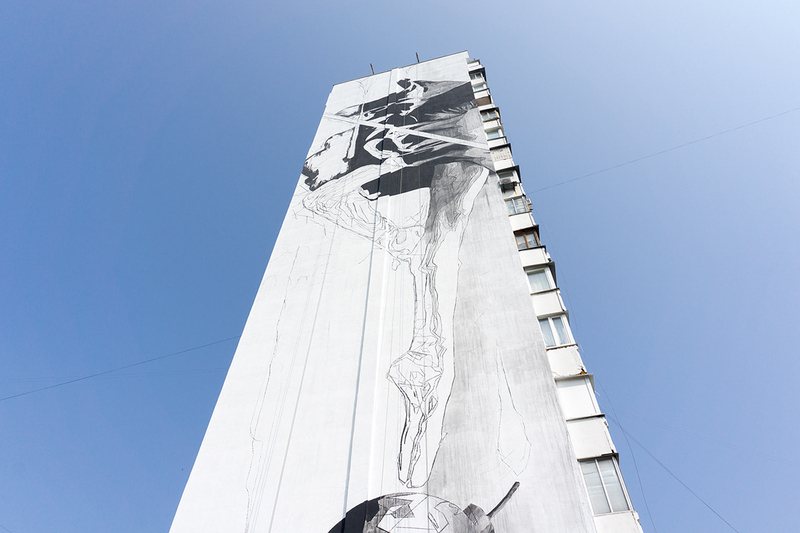 Visual artist INO was invited in Kiev to paint for the ArtUnitedUS project that is curated by Iryna Kanishcheva and Geo Leros. 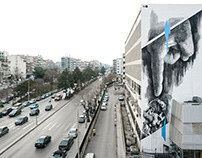 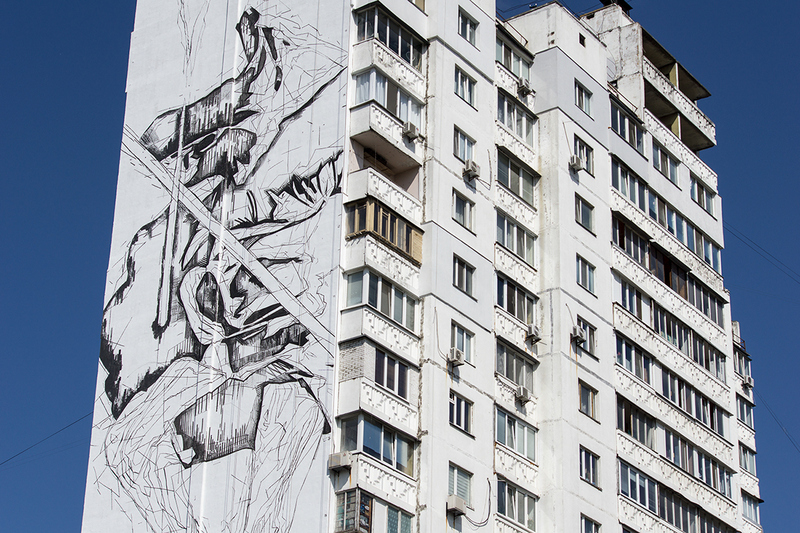 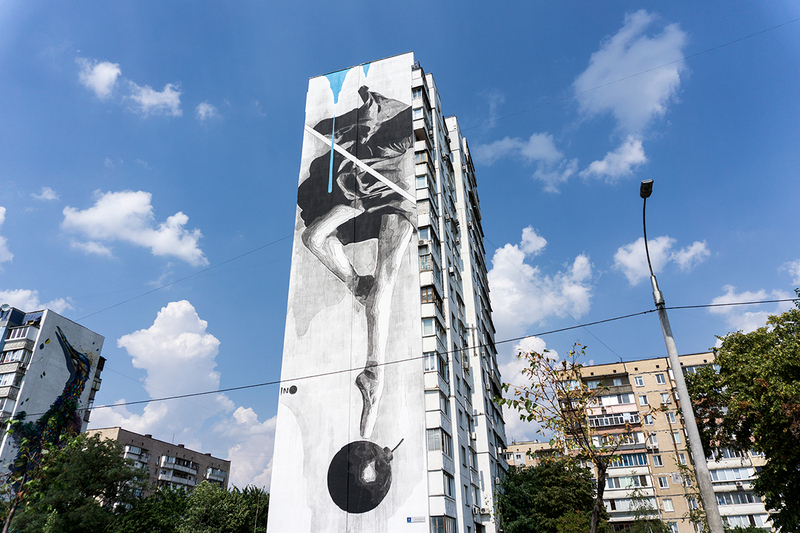 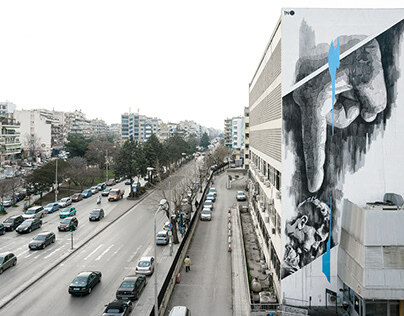 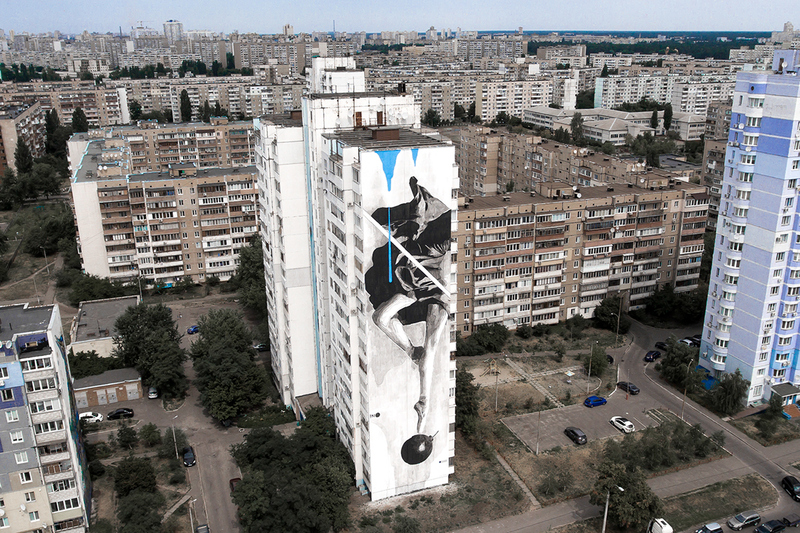 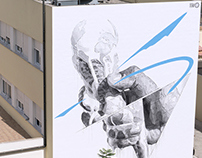 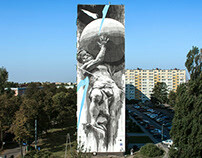 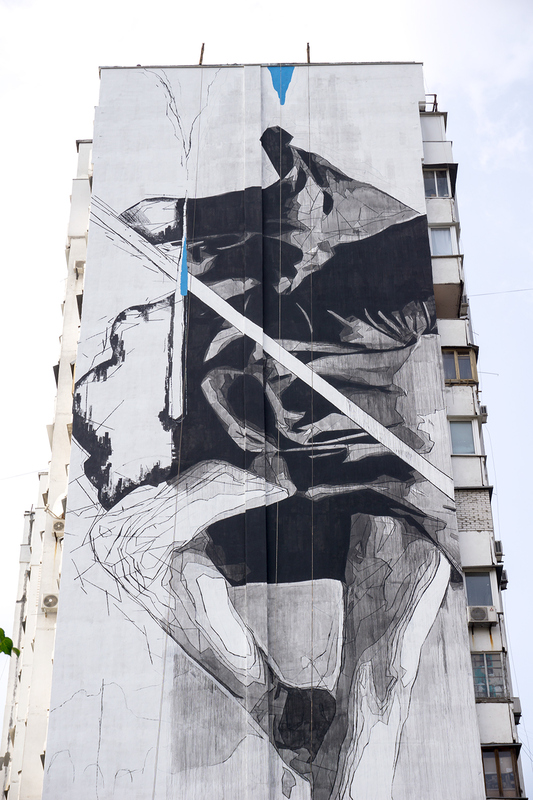 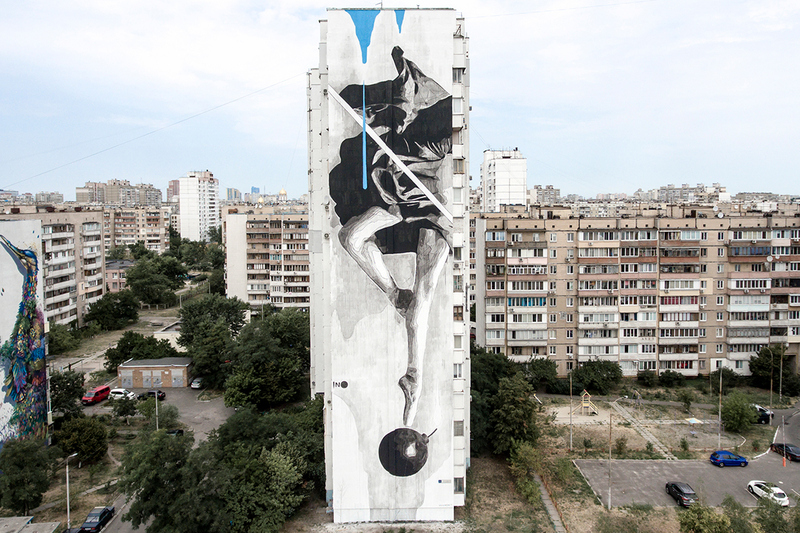 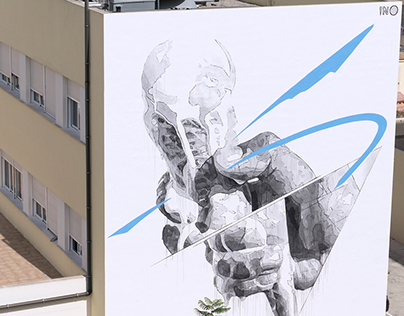 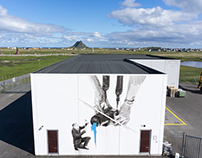 Reaching 48m above the ground, the Greek artist completed the biggest mural that he has ever made so far. 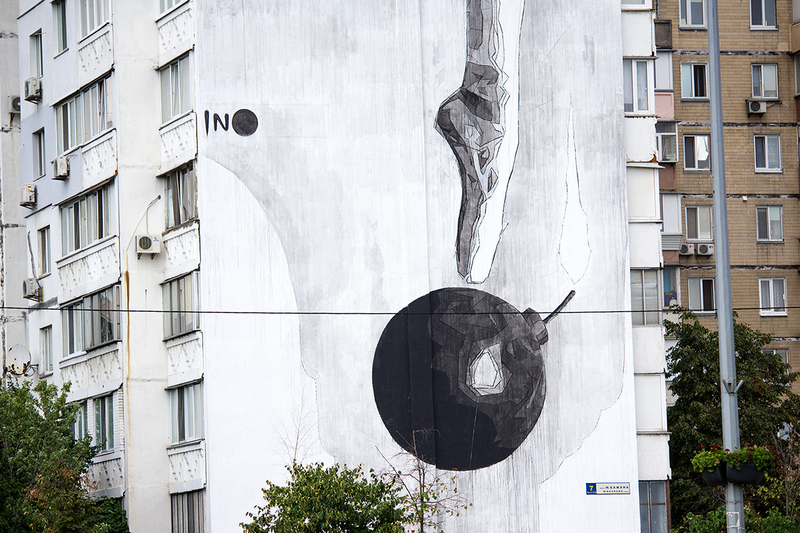 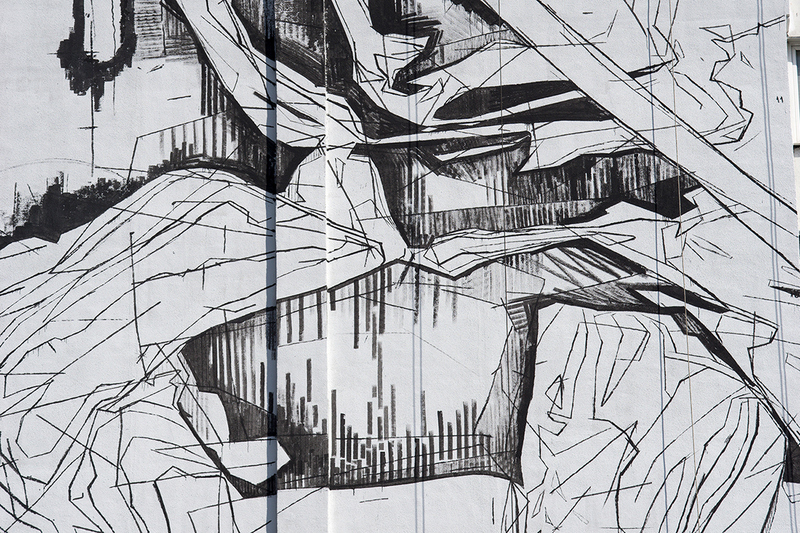 INO 's artwork is depicting a ballerina dancing over a bomb and has the title "instability". 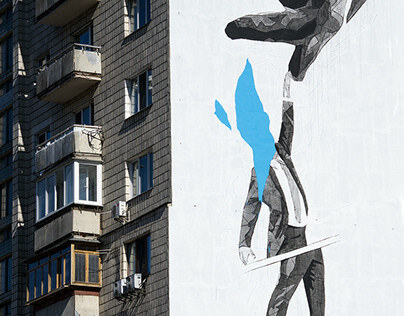 Inspired by the recent situation in Ukraine, the painting is criticizing the failure of coexistence between people on earth.